Hua Hin is the oldest seaside resort in Thailand and about 190 km south of Bangkok. With around 63,000 inhabitants, of which some 3,000 foreigners living here is one of the most attractive places in Hua Hin Thailand .. The King Rama VI was so taken with the place that he decided to build directly into his summer residence in Hua Hin.
" Royal Palace from worries" means. For years, the king lives in the hot summer months in Hua Hin. 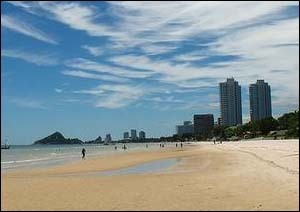 Due to the presence of the king and the resulting permanent police Present Hua Hin is one of the safest places in Thailand. Looking for a rental or purchase of property? Our information could be useful. To contact local vendors or compare offers. 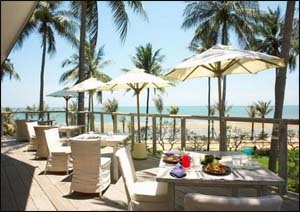 77110 Hua Hin, Prachuabkhirikhan If you looking for a different, special resort for your holiday. We have private beach, nice garden and family friendly atmosphere. B Bellaya Resort Hua Hin 236/24 Soi. Hua Hin 88/1 Petchkasem Rd.